While cruising down the Mother Road, stop in to Old Cowboys Antiques in El Reno for a great selection of western antiques and stick around for a song or two. 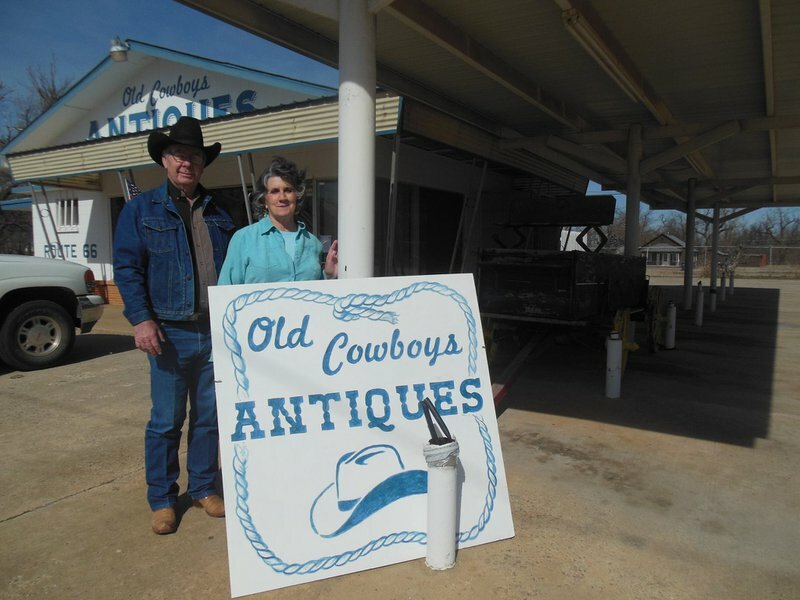 Never one to rest on his laurels, owner Cliff Johnson got tired of watching Gunsmoke reruns after retiring, so he purchased the historic Jobe’s Diner building and opened up a “Cowboys & Indians” style antique store with his wife Carol. Old Cowboys features a great selection of Southwest antiques, vintage western wear (much of it from the Johnson’s personal collection), memorabilia, old car parts and working cowboy gear, like hand tooled saddles. Hang around the shop long enough and Johnson might bust out the guitar for a campfire song or two. Hours may vary, so call before making a drive.